John has been with the firm since 1982 and practiced personal injury law in New England for six years before returning to Wisconsin. He is a graduate of Lawrence University where he majored in philosophy and economics. He then graduated from the Washington University in St. Louis School of Law where he served as an editor of the law review. John has received the highest possible rating by the pre-eminent, national, legal directory, Martindale-Hubbell, and, in multiple polls of the northeast Wisconsin bar, he has been selected as one of the area's best personal injury and civil rights lawyers. In 2001, John received the Robert L. Habush Trial Lawyer of the Year award from the Wisconsin Association for Justice. John has been repeatedly named a Super Lawyer by Milwaukee Magazine. 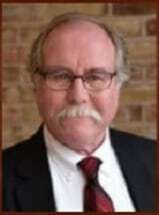 In 2010, he was selected as one of the top trial lawyers in Wisconsin by the American Association for Justice and was selected as a Fellow by the Litigation Counsel of America. John has long served on the board of directors of the Wisconsin Academy of Trial Lawyers (now the Wisconsin Association for Justice), and in 1995 he served as president of that organization. He has served on the board of governors and was the Wisconsin State Delegate for the American Association for Justice. Since 1990, he has been certified in civil trial advocacy by the National Board of Trial Advocacy. John is also certified as a civil pretrial specialist. For several years, John was the chairperson responsible for continuing legal education for the Wisconsin Academy of Trial Lawyers. He has lectured extensively to the trial bars of Wisconsin, Michigan, Minnesota and Iowa. By invitation, he has also lectured nationally at meetings presented by the American Association for Justice. John resides in Appleton with his wife, Martha Hemwall, Ph.D. He has served as president of the Big Brothers/Big Sisters of the Fox Valley. He has been on the boards of the Lawrence University Alumni Association, the Wisconsin Civil Liberties Foundation and the Civil Rights and Responsibilities Section of the State Bar of Wisconsin. For 25 years he served as the chair of the Election Commission of the Democratic Party of Wisconsin. He currently serves on the board of directors of Appleton Downtown, Inc., and on the board of trustees of the Appleton Public Library. In addition, he coached grade school, girls' basketball for nine years and high school and college mock trial for over 15 years.